When we moved to our new home, the fireplace was one of the areas that I wanted to “stand out”. 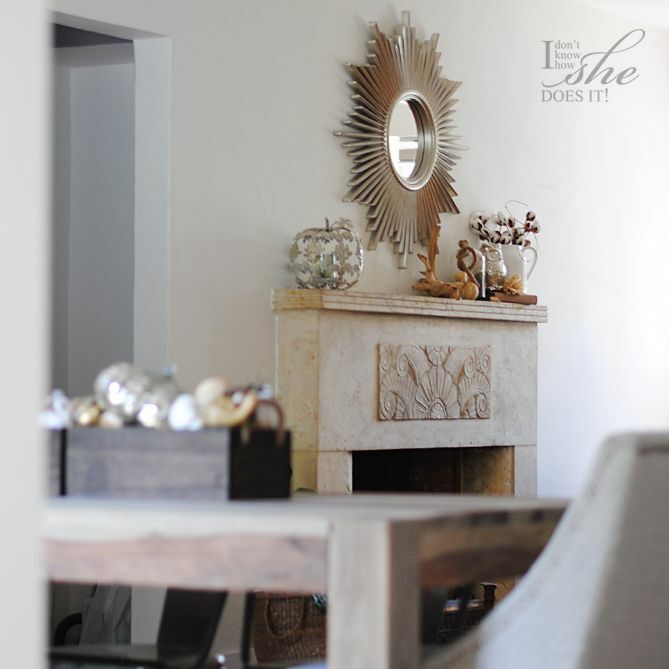 Being so close to the entryway and next to a big window (with a direct view of the street), this area had to have a focal point that didn’t distract from the sculpted header of the mantel. I wanted a piece that could be use in any type of decoration (including the seasonal ones) and that at the same time could add visual height to this room. Many times I thought about placing a flat tv on top of the fireplace’s mantel, but while researching on the web I found that there were more people against this trend that in favor. I thought that the idea of placing that black rectangle took a lot from this beautiful fireplace. So I kept looking until I found the perfect accent. The piece that I ended up selecting was a +kenroyhome Reyes Wall Mirror. 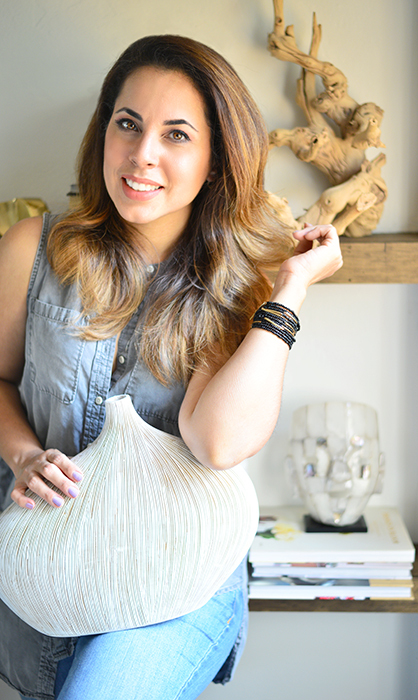 This elegant piece has a vintage silver color that goes perfectly with the undertones of my fireplace. Besides this fact, the rays of this abstract sun design are reminiscent of the “Mediterranean Revival” style of the sculpted header. 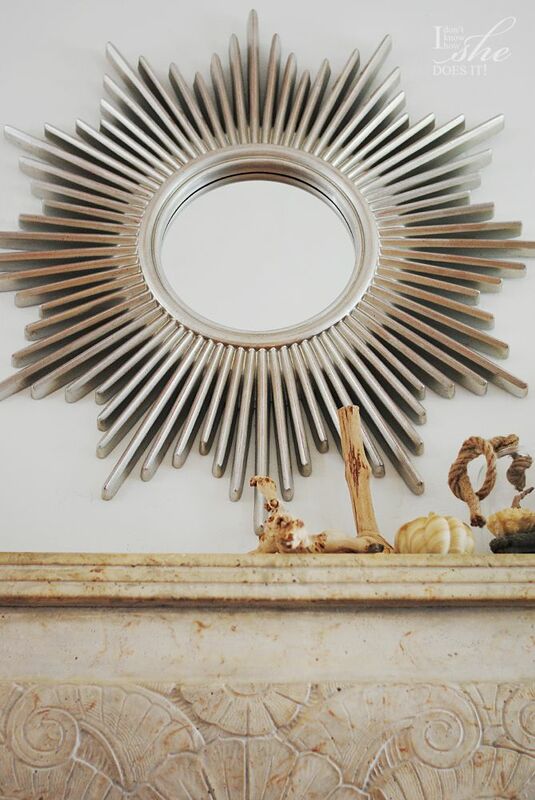 Now that Fall is here, I’ve decorated my mantle but with the Reyes Wall Mirror as the focal point of this vignette. 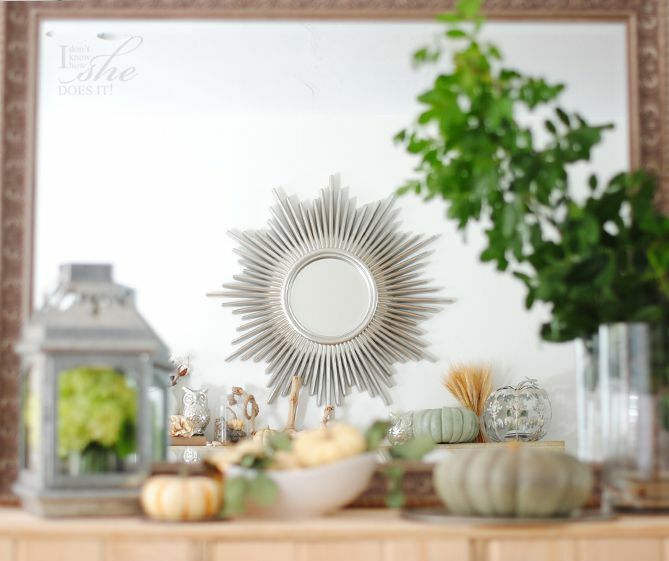 I can envision this mirror for Christmas and can’t wait to decorate around it. In what area of your home will you be placing this great piece? Now is your opportunity to own one. To participate on this wonderful giveaway, leave a comment under this post. For more opportunities, follow the instructions of the Rafflecopter. Good luck! Reyes Wall Mirror was provided by +kenroyhome for review. All thoughts and opinions are my own. Such a gorgeous mirror gloribell! I would love to see this above my shoe storage in my "entryway". I love that you placed yours above your fireplace. Its such a gorgeous focal point. Thank you so much for hosting this amazing giveaway. 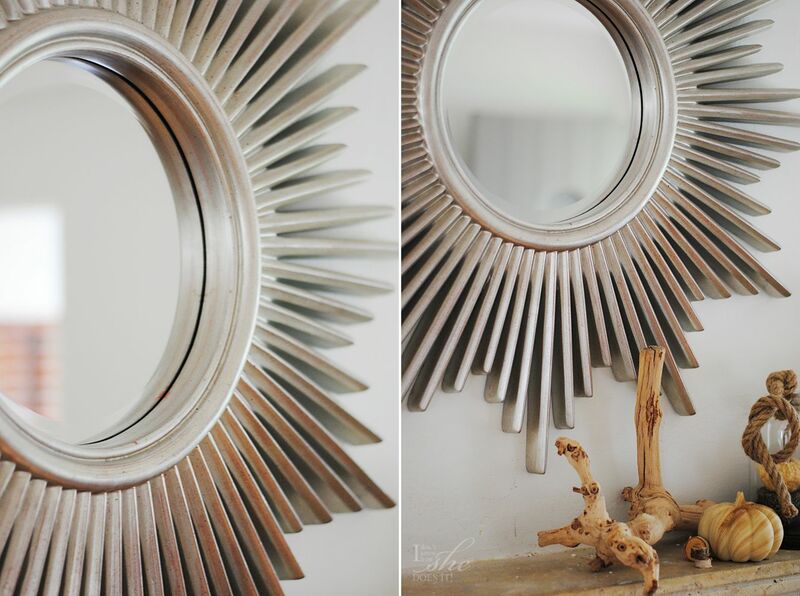 I would love to place this mirror in my dining room! I have been looking for the perfect piece for this space for over a year! I would hang this in my front entryway! It's beautiful! I am DYING to re-do my master bedroom and this would be the perfect piece to put in there! Would love to place this about our TV in our living room-I think it would really open up the space! I would love to put that mirror in my living room. It would be the one of the first thing that people will see when they go inside my house. That will be a statement piece in my house. It would be perfect in my entryway! We are actually right in the throws of redecorating our master bedroom. And I mean, seriously. Like our bed is in our livingroom right now so we can have the carpets cleaned and get the room painted. (I'm totally using your Instagram page for inspiration…thank you!) We have two rather bare walls to work with. I was planning a gallery wall on the larger one. And I think this mirror would be perfect for the other. This mirror would be perfect in my foyer!! I'm inlove with this mirror, I have been wanting one for quite a while now. I'm going to be moving into a new place at the end of this month. This will be my first time not having to share a room with anyone and I'm so excited to decorate, I am an aspiring interior designer. Slowly I have been buying so I have all the decor that I'm envisioning in my new room. This mirror would go great! It would go in my livingroom or bedroom. Thank you for the giveaway. What a beautiful piece! It would add statement to any room. Than you for the give away!